In 1910, O. T. Jackson decided to found an all black settlement called Dearfield because the land was very dear to the hearts of the settlers. In 1911, there were seven families and three teams of horses. By 1921, the Weld County News stated there were 700 people with lands worth circa $750,000, livestock and poultry worth $200,000 and an annual production of $125,000. 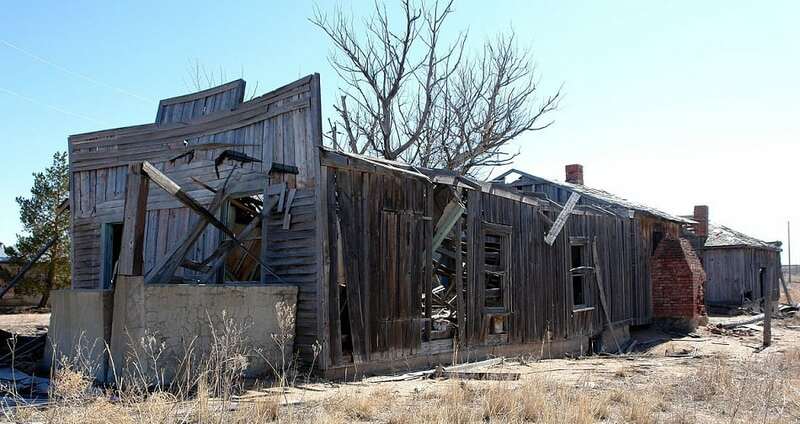 Then the Great Depression struck, including the years of the dust bowl causing the town to be abandoned.